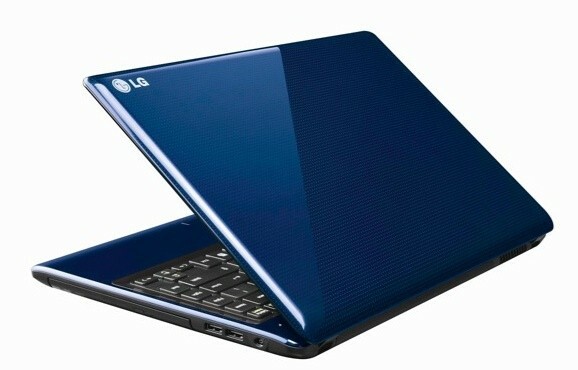 LG has unveiled two new laptop lines into the market just recently, and it’s none other than the S430, and S530 Aurora laptops. Basically, the laptops will operate on the Core i5 processor, and the difference between the laptops is the size factor, in which the S430 is a 14-inch with 1366 x 768 pixel resolution HD LCD laptop, while the S530 is a larger 15.6-inch with 1600 x 900 pixel resolution HD or HD+ laptop. Also, the Aurora laptops can support up to 8GB of DDR3 RAM, comes with 750GB of hard drive storage space, Bluetooth 3.0, USB 2.0, and also the standard WiFi module. And just like any other LG products in the market, the Aurora laptops will be available in several distinctive color options, namely purple and blue, which will be metallic veneer and crystalline, and it is scratch-free finish too. The Aurora will make a grand debut in Africa, Middle East and Asia next month, before making its way to the Europe and US shortly thereafter. There are simply so many conference call service providers in the region, and they all provide similar services at competitive rates. However, there are several distinctive conference call service providers that excel tremendously in the business, and www.zipconferencing.com is one of such service providers. The respective company provides audio conferencing and web conferencing services, and they are able to deliver these services at unbeatable price – Just use their conference call comparison module to compare their services with other service providers in the region, and I guarantee that you’ll be amazed by their rates. Personally, I would urge you to signup for a free trial account, in which the account would entitle you to 30 days of free web conferencing services, and you only pay an extremely low monthly minute rate for the first 60 minutes of audio conferencing. To take advantage of this particular offer, kindly browse to www.zipconferencing.com and signup as a trial member! For those who have signed up under T-Mobile’s 200MB data plans – you should know that T-Mobile is finalizing their plans that would soon charge their prospective users an overage when you exceed the 200MB allocated data transfers. Although the plan has yet to take charge, but future users will be subjected to several limitations, when they exceed the 200MB data transfer that is allowable under the respective plan. For example, users might experience slow surf speeds after exceeding the 200MB threshold, whereby T-Mobile will automatically throttle down your download speed to a ridiculously slow pace. 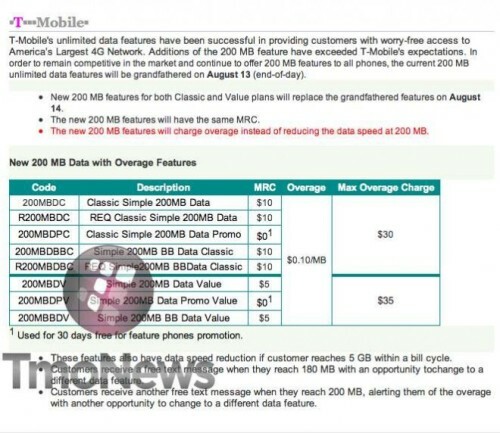 On the other hand, users will also be subjected to an overage for the additional data usage, but fortunately, the overage charges will be capped at $30 – so that you wouldn’t find an obscenely high monthly data bill, whenever you overuse your allocated data usage. Apparently, 2GB users are spared at the initial stage, but there’s no telling on when T-Mobile might impose such restrictions in the near future. HTC smartphones are one of the best smartphones in the market, as these smartphones boast versatility and extended usability, which makes it extremely practical for basic and advance users. I would definitely recommend the smart phone htc to my peers, as I find these phones to be very user friendly, while the Android platform allows the user to extend the functionality, simply by installing free applications that are obtainable through the Android Market. And if you are searching for a rather easy and convenient way to shop for HTC smartphones, be sure to shop at www.thesource.ca. The web store offers an extensive range of HTC smartphones for sale, such as the HTC Incredible S, HTC Wildfire, HTC Sensation, HTC HD7, and many more. To shop for the right HTC smartphone, try shopping for one via www.thesource.ca. Kyocera is definitely a huge mobile phone manufacturer in Japan, but surely, their footprint is somewhat small on a global scale. 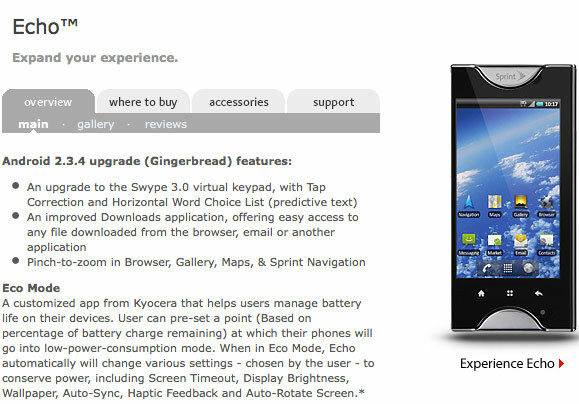 And of course, if you are a proud owner of the Kyocera Echo, you’d be delighted to know that this particular smartphone has received a Gingerbread update just recently, in which the phone now runs on the Android 2.3.4. Apparently, the rollout of the much anticipated Android 2.3.4 was stalled, whereby previous users that upgraded their phones to the Gingerbread version experienced adverse effects, like bricking. And after 9 days of the pullout, the Android 2.3.4 is once again available for download. According to Kyocera, they will most likely push the Android 2.3.4 on a small scale at the initial stage. And once the bricking problem doesn’t surface again, the update will be pushed on a large-scale. So did you experience the bricking problem on the Echo? Debt collection is an integral business process, whereby the collection process allows the company to recover the money owed by other organizations, which in return, can be channeled for other business development purposes. Of course, if you are searching for a reputable business collection agency, you should definitely consult www.kgaction.com immediately. The company has more than 35 years of experience in the respective field, and they boast extraordinary success rates too. Also, The Kaplan Group provides nationwide coverage to their clients, and they also operate an in-house law firm that allows the organization to perform full commercial collection. If you are interested in utilizing this business collection service, kindly browse to www.kgaction.com and drop your contact information on their respective web page. Once the company receives your request, a qualified representative will contact you immediately. Credit card fraud is rampant, and the trend is set on an up scaling trend in the near future. With financial institutions employing various ingenious methods to deter credit card fraud, still, fraudsters are working diligently in cracking the codes, which makes these security measures somewhat worthless. Nevertheless, Netswipe hopes to turn the tides on credit card fraud, whereby their system hopes to offer extended security for processing payments online. Basically, their system utilizes your webcam as part of their payment processor, whereby consumers will need to scan their credit card through the webcam-based Netswipe secure card reader solution. Apparently, consumers will need to hold their credit card in front of the webcam, and then enter their CVV code through a tamper-proof mouse-controlled interface. Also, the system enhances security from insecure forms, and website spoofing, simply by verifying details through a live video stream. Personally, I find the process to be somewhat tedious, don’t you think so? Metal buildings are one of the toughest buildings on the planet, whereby these buildings can withstand extreme weather conditions, and it is tremendously durable too, which allows the building to last for decades. And if you are searching for a contractor that specializes in constructing metal building, I would urge you to consult www.crownsteelbuildings.com immediately. In fact, the respective company can construct various types of metal buildings, such as metal garages, metal horse barns, metal auto-body or repair shops, airplane hangers, arch buildings, and many more. Do take note that www.crownsteelbuildings.com provides an unprecedented 35-year perforation-through guarantee on their buildings, and also a 40-year warranty on the paint, and I find such guarantees to be a true testament to the quality of their metal buildings. To learn more about these metal buildings, kindly browse to www.crownsteelbuildings.com for more info. 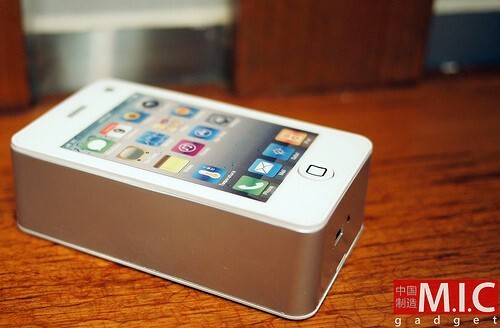 The Chinese are ingenious in coming up with a wide variety of goods, and when it comes to the iPhone, they have plenty of iPhone 4 variants readily available. Of course, if you take a closer look at the photo below, you’d notice that isn’t an iPhone 4, but rather a fan, as in a device that turns in rotational form and serves to keep you cool in the process. Chiropractic is a recognized form of alternative treatment, in which the respective form of treatment can be used to treat misalignments of joints, spinal columns, and it can also alleviate pain in nerves, organs, and also muscles. Surely, this particular alternative treatment is gaining popularity amongst consumers, as the results that entail can improve one’s quality of life tremendously. Of course, if you want to pursue a career in the respective field, perhaps you should try signing up on a reputable chiropractic school. For your info, AlliedHealthInstitute.edu is offering such courses, and you can complete the entire online program in just 16 months. To obtain more information regarding the chiropractic courses, kindly browse to their website at AlliedHealthInstitute.edu for more info.